Want dryer maintenance? Need emergency refrigerator repair? Our Clifton appliances service team can help you with either routine or emergency repair requests. 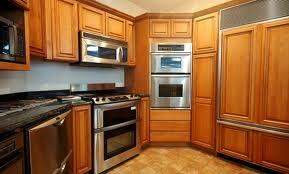 We can fix, service, and install any appliance in your house. Are some freezer or stove parts damaged? Trust our replacement service expertise. At Appliance Repair Clifton, we respect the needs of our customers, offer timely services, charge reasonably and take care of emergencies as soon as possible. We offer appliance service in Clifton to cover maintenance, repair and installation needs. Did you get a new stove? Want experts in the installation of dryers or gas ranges? With knowledge of every new home appliance in New Jersey and years of experience, our technicians install any branded appliance to your complete satisfaction. Gas powered appliances and dryers require great attention so that they will operate safely. You can depend on the installation skills of our appliance technicians and their commitment to fitting each appliance properly. Enjoy both kitchen and laundry room appliances for years by relying on our routine home appliance service. We can replace worn parts, level your units, check their condition, fix their problems and tune them up so that you won’t deal with unpleasant surprises. With our annual appliances service in Clifton, energy bills are reduced and the lifespan of each appliance is prolonged. Need emergency home appliance repair? When you need same day repairs on your dryer, refrigerator, freezer, washing machine, dishwasher or any other household appliance, don’t hesitate to call us. The response time of our appliance service technician is fast. Equipped with spare parts and an assortment of necessary tools, the repair work is performed on the spot. We can troubleshoot and fix any household appliance effectively. If there is need to replace any of their parts, the job is done at once. Appliance parts wear and tear, get rusty, break and burn out. We can slow down their wear with routine service and also offer fast repair. 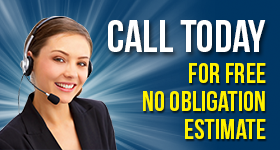 Call our company whenever you are concerned about your appliances.